What is a Pennsylvania Rental Application? Pennsylvania Rental Application: What Is It? In Pennsylvania, a rental application is used to collect information from applicants who wish to move into a rental. 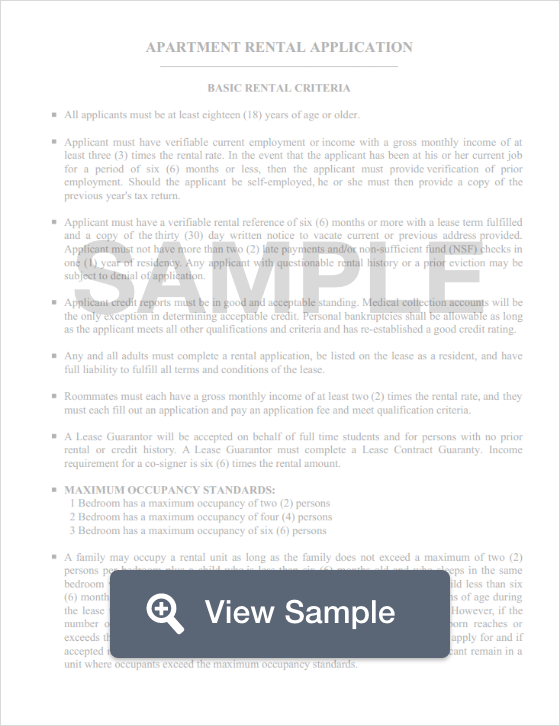 A landlord will use the same form to collect information from all applicants and use the information from the application to determine the most ideal candidate. These documents must conform to federal fair housing laws and prevent discrimination based on a variety of subjects. In Pennsylvania, landlords may request two month’s rent for a security deposit during the first year of tenancy. After the first year, that figure drops to one month’s rent. Additionally, tenants are to be paid interest on their security deposit on their 25th month of tenancy. Once their lease ends and they vacate the premises, the landlord has 20 days to return the security deposit.